There is some text here. Double Strike Filler when waiting for Slow Time or Project to come back up and Shadow Strike isn’t proc’d. Double Strike also applies Trauma, reducing targets’ healing received by 20%. Harnessed Shadows Passive skill. Slow Time and Project proc Harnessed Shadows (stacks up to three times), which makes Cascading Debris uninterruptible and immune to pushback. Additionally, each stack increases the damage of the next Cascading Debris by 15%. Spinning Strike Use on cooldown if a target is in execute range. Force Breach When proc’d (by shielding against, parrying and deflecting attacks), use this for maximum cleave. Whirling Blow Only use when you see a good cleave opportunity; it applies the Trauma debuff (20% decreased healing received) and procs Shadow Strike (via Shadow Wrap) and Project (via Particle Acceleration). Saber Strike Use when out of Force. Force Potency → Cascading Debris → Slow Time (AoE). Do not use Cascading Debris, Force Breach or Shadow Strike unless proc’d. The following table ranks utilities by usefulness (see key). A recommended build for typical warzones is given afterwards. When you feel comfortable with the discipline, I encourage you to experiment, to find which utilities complement your playstyle and which are best suited to particular situations, team compositions, etc. Celerity Reduces the cooldown of Mind Snap by 2 seconds, Force of Will by 30 seconds, and Force Speed by 5 seconds. Pinning Resolve Reduces the cooldown of Force Stun by 15 seconds and increases the duration of Force Slow and reduces its cooldown by 6 seconds. In addition, your Force Lift affects up to 2 additional standard or weak enemies within 8 meters of the target. Intangible Spirit As Kinetic Combat, reduces all damage taken while stunned by 30%. As Infiltration and Serenity, reduces the damage taken from area attacks by 30%. Lambaste Increases the damage dealt by Whirling Blow by 25%. Force Wake Force Wave unbalances its targets, immobilizing them for 5 seconds. Direct damage dealt after 2 seconds ends the effect prematurely. Snaring Strikes Double Strike, Clairvoyant Strike, and Whirling Blow reduce the movement speed of the targets they damage by 30% for 6 seconds. 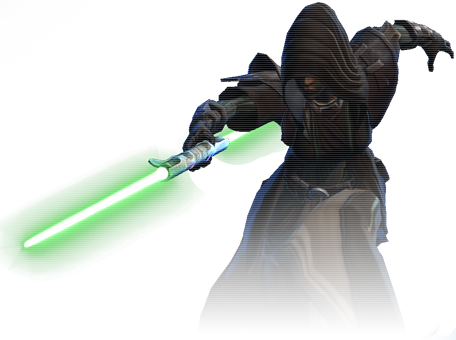 Fade Reduces the cooldown of Force Cloak by 45 seconds and extends its duration by 5 seconds. Nerve Wracking Targets controlled by your Spinning Kick or Force Stun take 5% more damage from all sources. Mass Mind Control provides Shadow’s Shelter to all allies within range, excluding yourself, reducing the damage they take by 5% for the next 6 seconds and healing them for 𝑥 health over the duration. Force Harmonics Reduces the cooldown of Force Wave by 2.5 seconds and Force Potency grants 1 additional charge when activated. Kinetic Acceleration Activating Project, Psychokinetic Blast, or Squelch increases your movement speed by 50% for 9 seconds. This effect cannot occur more than once every 18 seconds. Motion Control When a target recovers from being stunned by your Spinning Kick or Force Stun, its movement speed is slowed by 90% for the following 3 seconds. Additionally, Force Cloak increases your movement speed by 50% while it is active, and Force Slow reduced the movement speed of its target by an additional 20%. Cloak of Resilience Activating Force Cloak grants 2 seconds of Resilience. Sturdiness Activating Deflection grants 6 seconds of immunity to stun, sleep, lift, and incapaciting effects. Egress Force Speed grants Egress, removing all movement-impairing effects and granting immunity to them for the duration. Containment If your Force Lift breaks early from damage, the target is stunned for 2 seconds. In addition, Force Lift activates instantly. Mind over Matter Increases the durations of Resilience by 2 seconds and Force Speed by 0.5 seconds. Additionally, Force Speed slows all enemies within 5 meters by 75% for 2.5 seconds when activated. Martial Prowess Force Pull immobilizes its target for 3 seconds, Serenity Strike immobilizes its target for 2 seconds, and Low Slash immobilizes its target for 1 second after the incapacitating effect wears off. In addition, successful use of Mind Maze grants Martial Prowess, increasing the critical chance of your next direct attack by 100%. This effect lasts for 20 seconds. Restorative Shade When entering stealth with Force Cloak you generate a stack of Restorative Shade and heal 4% of your maximum health every 2 seconds for 10 seconds. Stacks last for 6 seconds. When stealth is broken, each stack of Restorative Shade heals you for 4% of your health. One with the Shadows Shadow Stride can be used while immobilized and purges movement-impairing effects when used. Additionally, Force Speed grants One with the Shadows, causing you to absorb 60% of all incoming damage for the duration of Force Speed. Avenging Grip Deflection grants Avenging Grip, reflecting 50% (or 100% for the Kinetic Combat discipline) of all direct single target tech and Force damage back at the attacker. Avenging Grip lasts for 12 seconds and does not absorb incoming damage. Avoidance Reduces the cooldown of Jolt by 2 seconds, Unbreakable Will by 30 seconds, and Force Speed by 5 seconds. Oppressing Force Lowers the cooldown of Electrocute by 15 seconds and increases the duration of Force Slow and reduces its cooldown by 6 seconds. In addition, your Whirlwind affects up to 2 additional standard or weak enemies within 8 meters of the target. Formless Phantom As Darkness, reduces all damage taken while stunned by 30%. As Deception and Hatred, reduces the damage taken from area attacks by 30%. Lambaste Increases the damage dealt by Lacerate by 25%. Electric Bindings Overload binds its targets in electricity, immobilizing them for 5 seconds. Direct damage dealt after 2 seconds ends the effect prematurely. Snaring Slashes Thrash, Voltaic Slash, and Lacerate reduce the movement speed of the targets they damage by 30% for 6 seconds. Nerve Wracking Targets controlled by your Spike or Electrocute take 5% more damage from all sources. Mass Mind Control provides Assassin’s Shelter to all allies within range, excluding yourself, reducing the damage they take by 5% for the next 6 seconds and healing them for 𝑥 health over the duration. Audacity Reduces the cooldown of Overload by 2.5 seconds and Recklessness grants 1 additional charge when activated. Speed Surge Activating Shock, Ball Lightning, or Eradicate increases your movement speed by 50% for 9 seconds. This effect cannot occur more than once every 18 seconds. Magnetism When a target recovers from being stunned by your Spike or Electrocute, its movement speed is slowed by 90% for the following 3 seconds. Additionally, Force Cloak increases your movement speed by 50% while it is active, and Force Slow reduced the movement speed of its target by an additional 20%. Shroud of Madness Activating Force Cloak grants 2 seconds of Force Shroud. Dark Stability Activating Deflection grants 6 seconds of immunity to stun, sleep, lift, and incapaciting effects. Emersion Force Speed grants Emersion, removing all movement-impairing effects and granting immunity to them for the duration. Haunted Dreams If your Whirlwind breaks early from damage, the target is stunned for 2 seconds. In addition, Whirlwind activates instantly. Disjunction Increases the duration of Force Shroud by 2 seconds and Force Speed by 0.5 seconds. Additionally, Force Speed slows all enemies within 5 meters by 75% for 2.5 seconds when activated. Hand of Darkness Force Pull immobilizes its target for 3 seconds. Leeching Strike immobilizes its target for 2 seconds, and Low Slash immobilizes its target for 1 second after the incapacitating effect wears off. In addition, successful use of Mind Trap grants Hand of Darkness, increasing the critical chance of your next direct attack by 100%. This effect lasts for 20 seconds. Renewing Darkness When entering stealth with Force Cloak you generate a stack of Renewing Darkness and heal 4% of your maximum health every 2 seconds for 10 seconds. Stacks last for 6 seconds. When stealth is broken, each stack of Renewing Darkness heals you for 4% of your health. Phasing Phantasm Phantom Stride can be used while immobilized and purges movement-impairing effects when used. Additionally, Force Speed grants Phasing Phantasm, causing you to absorb 60% of all incoming damage for the duration of Force Speed. Retaliatory Grip Deflection grants Retaliatory Grip, reflecting 50% (or 100% for the Darkness discipline) of all direct single target tech and Force damage back at the attacker. Retaliatory Grip lasts for 12 seconds and does not absorb incoming damage. The next step is to identify the icons for various effects, shown in the player/target debuff trays and on the operations frame. These are given in the table below. Hard stun This icon indicates a hard stun, regardless of its type. Mez This icon is associated with most mezzes, including Flash Bang (tech), Flash Grenade (tech), Sleep Dart (mental), Mind Trap (mental), Awe (mental) and Static Barrier (Force), the infamous “bubble stun”. This icon indicates the effects of abilities like Force Lift (Force), Whirlwind (Force) and Low Slash (physical). This icon is exclusive to Intimidating Roar (mental). Root This icon indicates a root, regardless of its type. Slow This icon indicates a slow, regardless of its type. 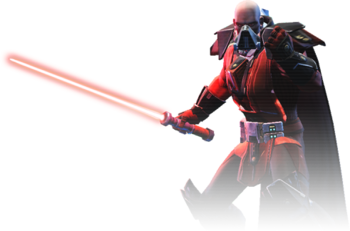 Three advanced classes in SWTOR have cleanses, abilities which can dispel certain negative effects like CCs and debuffs. Two tech-based classes, Operative and Mercenary, and one Force-based class, Sorcerer (and their respective Republic mirrors), have cleanses, as given in the table below. There are four types of negative effect: Force, mental, tech and physical. There are also untyped effects, which cannot be cleansed (e.g., Carbonize and Neural Surge). All Operatives and Mercenaries can cleanse tech and physical effects. Medicine Operatives and Bodyguard Mercenaries can also cleanse mental effects. All Sorcerers can cleanse Force and mental effects. Corruption Sorcerers can also cleanse physical effects. Hard stuns, mezzes, roots, slows and some debuffs can be cleansed. One drawback to cleanses is that they do not prioritize dispelling hard stuns and mezzes over other effects. For example, if you try to dispel the effects of Flash Bang (Flash Grenade) on an ally who is also rooted and slowed, there is a chance those lesser effects will dispelled instead. Cleanses are also on a 12-second cooldown so should be used thoughtfully. While you can cleanse allies of stuns and mezzes, you cannot cleanse yourself while incapacitated. You can cleanse yourself of roots, slows and other effects, however. It’s important to distinguish between attack types, damage types (see the relevant section of our guide to Stats and Damage Calculation for more information on these) and effect types. There isn’t a strict link between attack type and effect type. If you are ever unsure of an effect type, hover over its icon in the debuff tray. Broadly, Sorcerers can dispel other Force users’ effects (Juggernauts, Marauders, Assassins or other Sorcerers); Operatives and Mercenaries can cleanse effects from tech-based classes (Operatives, Mercenaries, Powertechs and Snipers). There are exceptions. Remember that healers can cleanse more effect types. The following tables list all CCs in the game. The tables are colour coded by debuff type, allowing you to quickly identify which CCs are cleansable by which discipline. If a CC is attached to a utility, this is indicated, e.g., Whirlwind (Haunted Dreams). For brevity, Imperial names are listed only. CCs listed are those which last 2 seconds or more: cleansing shorter effects is a waste of a valuable cooldown, even if you have the reaction time needed. This icon indicates a hard stun, regardless of its type. This icon is associated with most mezzes, including Flash Bang (tech), Flash Grenade (tech), Sleep Dart (mental), Mind Trap (mental), Awe (mental) and Static Barrier (Force), the infamous “bubble stun”. This icon indicates the effects of mezzes like Force Lift (Force), Whirlwind (Force) and Low Slash (physical). This icon is exclusive to Intimidating Roar (mental), a mez. This icon indicates a root, regardless of its type. This icon indicates a slow, regardless of its type. Fig. 1: Operations frame with enlarged debuff icons. You can optimise your UI to see debuffs more clearly on the operations frame. Some recommended settings follow. Unlike other MMOs, SWTOR boasts excellent visual and sound design. These cues give vital information in PvP so we recommend spending some time adjusting in-game sound levels so you can pick up on them. You can tell, for example, whether an ally was hit by a Mercenary’s Concussion Missile or a Sorcerer’s Whirlwind by the animations associated with the abilities and their effects or their distinctive sound effects. Learn the animations and sound effects associated with each ability to help you make accurate split-second decisions. Everyone’s audio setup is different so specific values are not given. However, after adjusting your Master Volume to a comfortable level, ensure your Sound FX Volume is higher than your Ambient Volume, Music Volume and Voice Volume. Mezzes and hard stuns are commonly used in PvP to shut players down or to make it easier to kill targets. Because mezzes and hard stuns prevent allies from using important abilities, cleansing these is your first priority. Consider a healer under the effects of Flash Bang, unable to cast to save a player, or a hard stunned DPS who can’t activate a DCD to save themselves: cleansing here has huge potential impact. Cleansing a player of a mez or hard stun also lets them save their CC breaker (typically on a 2-minute cooldown) for later in the fight. Lastly, remember that mezzes and hard stuns have relatively long cooldowns: by saving your cleanse for these CCs, you deny the enemy a valuable window of opportunity to get a kill. Roots are your next priority. When a player is rooted, they can still use important abilities but cannot move. Cleansing roots is important if a player needs to kite, LoS, stay in melee range, etc. If a teammate is struggling to reposition, e.g., a tank is rooted out of Guard range, it is worth cleansing a root. Slows and debuffs are of lowest priority because they will rarely be the direct cause of your death or a teammate’s death. They are also attached to basic class rotations, often spammable or easily reapplied. Therefore, cleansing them has little value. It is almost always better to save your cleanse for mezzes, hard stuns or roots. Cleansing quickly and accurately takes practice. Take some time to adjust your UI and sound settings. Pay attention to the debuff trays and operations frame and listen out for audio cues. Learn to recognise other classes’ abilities so you can predict incoming CCs. Try not to waste your cleanse on effects you can’t dispel. We hope this serves as both an introductory guide for casual players and a valuable reference for more seasoned players looking to improve their performance in solo and group ranked. Cleanses are powerful: learning to use them will increase your survivability and that of your teammates, giving you an edge. I’m Hottie. I’m a Medicine Operative main but dabble in other classes as well. I’ve been playing SWTOR for three years and am every bit as passionate about the game now as when I started. I’ve written a number of guides and articles on PvP and related topics. My experience playing ranked PvP across multiple seasons has given me valuable insights into game mechanics and other, more esoteric aspects of PvP. You can watch me stream my gameplay over on Twitch and follow me on Twitter. Lastly, I want to give a shoutout to my friends doc and Puddlejumper for sharing their knowledge and for their continued support. I’m rambol, also a Medicine Operative main who’s been having a tempestuous affair with SWTOR since its beta. I’m chief editor of rambol.net, where I collaborate with my friends to produce PvP-focused content for SWTOR. While I struggle to maintain two stacks of Kolto Probe on four teammates at once, my knack for copyediting and tenuous grasp of physics and mathematics sometimes prove useful. Thrash Filler when waiting for Wither or Shock to come back up and Maul isn’t proc’d. Thrash also applies Trauma, reducing targets’ healing received by 20%. Harnessed Darkness Passive skill. Wither and Shock proc Harnessed Darkness (stacks up to three times), which makes Depredating Volts uninterruptible and immune to pushback. Additionally, each stack increases the damage of the next Depredating Volts by 15%. Assassinate Use on cooldown if a target is in execute range. Discharge When proc’d (by shielding against, parrying and deflecting attacks), use this for maximum cleave.
) and Shock (via Energize). Recklessness → Depredating Volts → Wither (AoE). Do not use Depredating Volts, Discharge or Maul unless proc’d. Defection Mounting Darkness is a Darkness passive which turns Defection into an 8-meter AoE aura centered on the caster. Enemies within its radius deal 15% less Force and tech damage for 12 seconds (or 15 seconds with the Survivor 6-piece set bonus, which also reduces its cooldown by 10 seconds). Phantom Stride Instantly teleport to an enemy target. Can be used to get back into Guard range or CC an incoming enemy. Does not break stealth. Force Pull Can be used to peel for an ally or move an enemy out of position for a kill. Force Speed The Phasing Phantasm utility causes Force Speed to grant 60% damage reduction for its duration. Use to mitigate burst damage directed at you or your guarded target. Use on cooldown when under heavy fire. Recklessness As well as being a potent offensive cooldown, Recklessness additionally grants 30% Shield Absorption for 20 seconds (via the Shroud of Darkness passive). Force Shroud Use to purge debuffs, resist big yellow damage and resist stuns. Because of its short, one-minute cooldown (further reduced by shielding/parrying/deflecting attacks via the Lightning Recovery passive), you can use Force Shroud liberally. Overcharge Saber Use when you need longer-lasting damage reduction (+25% for the duration via the Premonition passive). Make sure not to pop it too early as it heals you for 15% of your maximum HP on activation. Because it provides flat damage reduction (from all sources), it is particularly useful for mitigating damage taken though Guard. Deflection Deflection increases your chance to parry melee and ranged attacks by 50% for 12 seconds. Because you can parry melee/ranged attacks against your guarded target, it’s useful when you or your guarded target are taking heavy white damage (e.g., from Marksmanship Snipers). If you or your guarded target are taking heavy yellow damage, use Overcharge Saber instead. The debuff (from Mounting Darkness) applied to enemies within 15m mitigates single-target yellow damage directed at any of your teammates (not just you and your guarded ally). However, 15% damage reduction is fairly small. Ideally, you will use Deflection when you or your guarded target are under focus fire and you’re in a position to debuff multiple enemies—but you will sometimes be forced to use it for one situation or the other. Note that, because you can’t dodge attacks while hard stunned, this cooldown is especially effective when you have full resolve (are “white-barred”). Force Cloak This has three main uses. Firstly, when you need to disengage from a fight. Secondly, when you need to temporarily reduce pressure on yourself and give your healers breathing room. Note that, in both instances, you first need to deactivate Guard to prevent getting decloaked by Guard damage or (somewhat less importantly) getting stuck in combat. Thirdly, you can also use it at as a second, shorter Force Shroud. However, you should only do this if you are confident you won’t need the cooldown as an escape (as in the first two examples) anytime soon. Force Cloak also “resets” your Warzone Medpac, which has a cooldown of 1.5 minutes but also requires you to break combat to use it again. In theory, Assassins can use their medpac every 1.5 minutes with Force Cloak. Oppressing Force Lowers the cooldown of Electrocute by 15 seconds and increases the duration of Force Slow and reduces its cooldown by 6 seconds. In additon, your Whirlwind affects up to 2 additional standard or weak enemies within 8 meters of the target. Assassin's Shelter Mass Mind Control provides Assassin's Shelter to all allies within range, excluding yourself, reducing the damage they take by 5% for the next 6 seconds and healing them for 𝑥 health over the duration. Your goal is to swap Guard to whoever is taking the most damage. Tanks’ role is to mitigate burst damage so healers can do their job more easily—burst healing is energy/resource intensive. Learning to rotate your Guard (not only to healers but DPS as well) and stay within Guard range is vital. You are not doing your job if you keep your Guard on one target who isn’t taking damage. Guard the player taking the most damage at any given moment, rotating Guard when the enemy team switches targets. A common rookie mistake is to leave Guard on your healer for the whole match, even when they are not taking damage. Remember that you can help your healer more by rotating your Guard to whoever is taking the most damage so your healer has an easier time keeping the team alive. Vicious Slash Single-target filler; also applies Trauma, reducing targets’ healing received by 20%. Sweeping Slash AoE filler; also applies Trauma, reducing targets’ healing received by 20%. Aegis Assault Generates 6 rage and increases damage reduction by 3% for 20 seconds; when active, Crushing Blow hits up to 7 additional targets. Saber Throw Deals single-target damage at range and builds 3 rage. Chilling Scream Spammable AoE slow; the Piercing Chill utility causes Chilling Scream to deal periodic elemental damage to targets and increases caster’s movement speed for 8 seconds. Assault Use when out of rage. Revenge Passive skill. Parrying, deflecting, shielding against or resisting an attack has a 50% chance to grant Revenge, reducing the rage consumed by your next Force Scream or Vicious Throw by 1. Intercede A friendly leap exclusive to Juggernauts. The player who is leapt to benefits from 20% damage reduction for 6 seconds. This is powerful, especially in conjunction with taunts and/or Guard. Force Push Can be used offensively (to interrupt and isolate targets) and defensively (to help peel). Fig. 5: Juggernaut’s Intercede animation. Saber Reflect Saber Reflect is one of your go-to cooldowns when under heavy focus fire or being “tank tunneled”. It should only be used in this situation as it does nothing to mitigate collateral AoE damage or damage taken through Guard. You need to learn which attacks can be reflected and notice when you are the main target of these attacks. Enraged Defense While it can be used at <70% health, never use it at more than 50% health or you risk wasting it by overhealing yourself. You should be particularly conservative with this DCD when you have a healer on your team. Unless you’re in voice chat with your healer to ask them, you can’t know for sure whether you need to use Enraged Defense or to expect some burst healing. If you are in communication with your healer, let them know before you use it so they can focus on healing others and avoid overhealing you. Note that this ability can be used while stunned. Invincible Reduces damage taken from all sources by 40% for 10 seconds (or 15 seconds with the War Leader 6-piece set bonus). That includes collateral AoE damage and damage taken through Guard. Note that the damage reduction is multiplicative, not additive. Use it to stay ahead during periods of heavy incoming damage. Saber Ward Ideally used when tank tunneled because it grants 100% dodge chance for its first 5 seconds with Blade Turning and the War Leader 6-piece set bonus and 50% increased dodge chance for the remainder. This is useless against a lot of the AoE you’re likely to catch. However, unlike Deflection (Deflection), this ability also offers +25% damage reduction against Force and tech attacks. It can therefore be effective (to a varying degree) at mitigating damage taken through Guard but is still much less effective than at mitigating direct damage. If your opponents show no interest in tank tunneling you then you need to be prepared to use it just for the yellow damage reduction. Note that, because you can’t dodge attacks while hard stunned, this cooldown is especially effective when you have full resolve (are “white-barred”). Endure Pain This is an odd DCD. For the Immortal discipline, it temporarily increases maximum health by 30% for 20 seconds. However, the extra (or “fake”) health is lost when Endure Pain expires. When out of options, it buys time for teammates to heal you or for other DCDs to come off cooldown. Mad Dash Grants a brief window of immunity to everything (damage and CCs). Use it to kite, establish range, reposition or to resist abilities like Heatseeker Missiles (Demolition Round) or Thermal Detonator (Assault Plastique). Payback Reduces the cooldown of Unleash by 30 seconds and causes Unleash to heal you for 10% of your maximum health when used. Warmonger Getting attacked reduces the active cooldown of Force Charge by 1 second. This effect cannot occur more than once every 1.5 seconds. Overwhelm Ravage immobilizes the target for 3 seconds. Path Carver Sweeping Slash deals 25% more damage. Deadly Reprisal Taking non-periodic area of effect damage generates 2 rage. This effect cannot occur more than once per second. Unyielding You generate 4 rage when stunned, immobilized, put to sleep, or knocked around. Pooled Hatred Whenever your movement is impared, you gain a 10% damage bonus to your next ability that consumes rage. This effect can stack up to 5 times and lasts 15 seconds. Crushing Fist For the Immortal discipline, Smash slows the targets it damages by 60% for 10 seconds. For the Vengeance and Rage disciplines, Smash and Vengeful Slam sunder the targets they damage for 45 seconds. Sundered targets have their armor rating decreased by 20%. Sonic Wall Threatening Scream protects all allies within range, excluding yourself, granting Sonic Wall, which absorbs a moderate amount of damage. Lasts 10 seconds. Strangulate Reduces the cooldown of Force Choke by 15 seconds. Unstoppable Force Charge grants Unstoppable, granting immunity to movement-impairing effects and effects that push or pull you around for 4 seconds. Unshackling Rage Activating Enrage purges movement-impairing effects and increases your movement speed by 50% for 6 seconds. War Bringer Force Charge enables your next Vicious Throw or Hew to be used against a target with any percentage of health. Lasts up to 15 seconds. Through Passion Reduces the cooldown of Enraged Defense by 30 seconds. Seething Hatred When you exit combat, the active cooldowns of Force Charge, Enrage, and Saber Throw are reduced by 100%. Hardened Defense For Vengeance and Rage, all area effect damage is reduced by 60% for 15 seconds after Threatening Scream is activated. For Immortal, all damage is reduced by 30% while stunned. Through Power Enraged Defense increases your movement speed by 50% and grants immunity to movement-impairing effects while active. Consuming Rage Endure Pain removes all cleansable effects when activated. Through Victory Mad Dash can be used while immobilized, purges movement-imparing effects when activated, and deals 50% more damage. Additionally, the cooldown of Mad Dash is reduced by 10 seconds. Piercing Chill Chilling Scream pierces enemies with an aching chill, dealing 𝑥 elemental damage to all affected targets over 8 seconds. Additionally, Chilling Scream grants Chilling Speed, increasing your movement speed by 35% for 8 seconds. Thrown Gauntlet Reduces the cooldowns of Force Push and Intimidating Roar by 15 seconds. Additionally, Saber Throw immobilizes the target for 3 seconds. Extending Roar Increases the range of Force Scream to 30 meters, but Force Scream deals reduced damage beyond 10 meters. Additionally, Force Push deals 20% more damage and grants Extending Roar, allowing your next Force Scream to deal full damage regardless of the distance from the target. Intimidating Presence Force Charge finishes the cooldown on Disruption. In addition, Saber Reflect lasts 2 seconds longer, and if Soresu Form is being utilized, generates a high amount of threat on all engaged enemies within 30 meters when activated. Reckoning Intercede grants Reckoning, increasing the damage dealt by your next melee ability by 20%. This effect lasts for 10 seconds. Additionally, reduces the cooldown of Intercede by 5 seconds and reduces the threat and damage taken by an additional 10% each for the friendly target of Intercede. Slash Single-target filler; also applies Trauma, reducing targets’ healing received by 20%. Cyclone Slash AoE filler; also applies Trauma, reducing targets’ healing received by 20%. Warding Strike Generates 6 rage and increases damage reduction by 3% for 20 seconds; when active, Guardian Slash hits up to 7 additional targets. Saber Throw Deals single-target damage at range and builds 3 focus. Freezing Force Spammable AoE slow; Persistent Chill utility causes Freezing Force to deal periodic elemental damage to targets and increases caster’s movement speed for 8 seconds. Strike Use when out of focus. Courage Passive skill. Parrying, deflecting, shielding against or resisting an attack has a 50% chance to grant Courage, reducing the rage consumed by your next Blade Storm or Dispatch by 1. Guardian Leap A friendly leap exclusive to Guardians. The player who is leapt to benefits from 20% damage reduction for 6 seconds. This is powerful, especially in conjunction with taunts and/or Guard. Fig. 6: Guardian’s Guardian Leap animation. Saber Reflect This is one of your go-to cooldowns when under heavy focus fire or being “tank tunneled”. It should only be used in this situation as it does nothing to mitigate collateral AoE damage or damage taken through Guard. You need to learn which attacks can be reflected and notice when you are the main target of these attacks. Focused Defense While it can be used at <70% health, never use it at more than 50% health or you risk wasting it by overhealing yourself. You should be particularly conservative with this DCD when you have a healer on your team. Unless you’re in voice chat with your healer to ask them, you can’t know for sure whether you need to use Focused Defense or to expect some burst healing. If you are in communication with your healer, let them know before you use it so they can focus on healing others and avoid overhealing you. Note that this ability can be used while stunned. Warding Call Reduces damage taken from all sources by 40% for 10 seconds (or 15 seconds with the War Leader 6-piece set bonus). That includes collateral AoE damage and damage taken through Guard. Note that the damage reduction is multiplicative, not additive. Use it to stay ahead during periods of heavy incoming damage. Saber Ward This is ideally used when tank tunneled because it grants 100% dodge chance for its first 5 seconds with Blade Turning and the War Leader 6-piece set bonus and 50% increased dodge chance for the remainder. This is useless against a lot of the AoE you’re likely to catch. However, unlike Deflection (Deflection), this ability also offers +25% damage reduction against Force and tech attacks. It can therefore be effective (to a varying degree) at mitigating damage taken through Guard but is still much less effective than at mitigating direct damage. If your opponents show no interest in tank tunneling you then you need to be prepared to use it just for the yellow damage reduction. Note that, because you can’t dodge attacks while hard stunned, this cooldown is especially effective when you have full resolve (are “white-barred”). Enure This is an odd DCD. For the Defense discipline, it temporarily increases maximum health by 30% for 20 seconds. However, the extra (or “fake”) health is lost when Enure expires. When out of options, it buys time for teammates to heal you or for other DCDs to come off cooldown. Second Wind Reduces the cooldown of Resolute by 30 seconds and causes Resolute to heal you for 10% of your maximum health when used. Battlefield Command Getting attacked reduces the active cooldown of Force Leap by 1 second. This effect cannot occur more than once every 1.5 seconds. Debilitation Blade Barrage immobilizes the target for 3 seconds. Trailblazer Cyclone Slash deals 25% more damage. Narrowed Focus Taking non-periodic area of effect damage generates 2 focus. This effect cannot occur more than once per second. Defiance You generate 4 focus when stunned, immobilized, put to sleep, or knocked around. Gather Strength Whenever your movement is impared, you gain a 10% damage bonus to your next ability that consumes focus. This effect can stack up to 5 times and lasts 15 seconds. Purifying Sweep For the Defense discipline, Force Sweep slows the targets it damages by 60% for 10 seconds. For the Vigilance and Focus disciplines, Force Sweep and Vigilant Thrust sunder the targets they damage for 45 seconds. Sundered targets have their armor rating decreased by 20%. Guardianship Challenging Call protects all allies within range, excluding yourself, granting Guardianship, which absorbs a moderate amount of damage. Lasts 10 seconds. Pulse Reduces the cooldown of Force Stasis by 15 seconds. Unremitting Force Leap grants Unremitting, granting immunity to movement-impairing effects and effects that push or pull you around for 4 seconds. Focused Freedom Activating Combat Focus purges movement-impairing effects and increases your movement speed by 50% for 6 seconds. Ardent Advocate Force Leap enables your next Dispatch or Whirling Blade to be used against a target with any percentage of health. Lasts up to 15 seconds. Through Peace Reduces the cooldown of Focused Defense by 30 seconds. Preparation When you exit combat, the active cooldowns of Force Leap, Combat Focus, and Saber Throw are reduced by 100%. Stalwart Defense For Vigilance and Focus, all area effect damage is reduced by 60% for 15 seconds after Challenging Call is activated. For Defense, all damage is reduced by 30% while stunned. True Harmony Focused Defense increases your movement speed by 50% and grants immunity to movement-impairing effects while active. Peaceful Focus Enure removes all cleansable effects when activated. Cut Loose Blade Blitz can be used while immobilized, purges movement-imparing effects when activated, and deals 50% more damage. Additionally, the cooldown of Blade Blitz is reduced by 10 seconds. Persistent Chill Freezing Force pierces enemies with an aching chill, dealing 𝑥 elemental damage to all affected targets over 8 seconds. Additionally, Freezing Force grants Chilling Speed, increasing your movement speed by 35% for 8 seconds. Jedi Warden Reduces the cooldowns of Force Push and Awe by 15 seconds. Additionally, Saber Throw immobilizes the target for 3 seconds. Unyielding Justice Increases the range of Blade Storm to 30 meters, but Blade Storm deals reduced damage beyond 10 meters. Additionally, Force Push deals 20% more damage and grants Unyielding Justice, allowing your next Blade Storm to deal full damage regardless of the distance from the target. Daunting Presence Force Leap finishes the cooldown on Force Kick. In addition, Saber Reflect lasts 2 seconds longer, and if Soresu Form is being utilized, generates a high amount of threat on all engaged enemies within 30 meters when activated. Thwart Guardian Leap grants Thwart, increasing the damage dealt by your next melee ability by 20%. This effect lasts for 10 seconds. Additionally, reduces the cooldown of Guardian Leap by 5 seconds and reduces the threat and damage taken by an additional 10% each for the friendly target of Guardian Leap. Intercede A friendly leap exclusive to Juggernauts. The player who is leapt to benefits from 20% damage reduction for 6 seconds. This is extremely powerful, especially in conjunction with taunts and/or Guard. Saber Ward Ideally used when tank tunneled because it grants 100% dodge chance for its first 5 seconds with Blade Turning and the Immortal set bonus and 50% increased dodge chance for the remainder. This is useless against a lot of the AoE you’re likely to catch. However, unlike Deflection (Deflection), this ability also offers +25% damage reduction against Force and tech attacks. It can therefore be effective (to a varying degree) at mitigating damage taken through Guard but is still much less effective than at mitigating direct damage. If your opponents show no interest in tank tunneling you then you need to be prepared to use it just for the yellow damage reduction. Note that, because you can’t dodge attacks while hard stunned, this cooldown is especially effective when you have full resolve (are “white-barred”). Endure Pain This is an odd DCD. For the Immortal discipline, it temporarily increases maximum health by 30% for 20 seconds. However, the extra (or “fake”) health is lost when Endure Pain expires. When out of options, Endure Pain buys time for teammates to heal you or for other DCDs to come off cooldown. Fig. 1: Recommended utility build. Fig. 2: Demonstrating Guard’s effective range (15m).